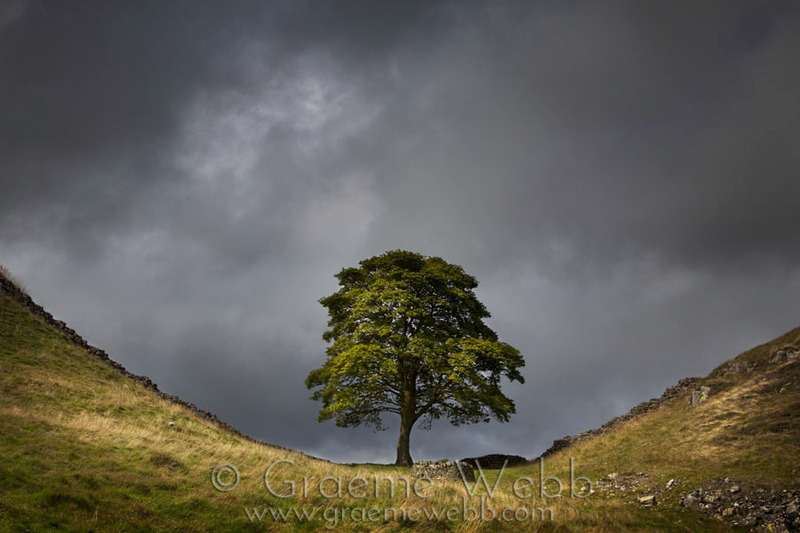 Sycamore Gap on Hadrians wall, made famous by the film "Robin Hood - Prince of Thieves" This is the tree where the boy Wulf sought refuge from the hounds and men of Guy of Gisbane. Seeing the trouble ahead, Robin came to the rescue of Wulf and incurred the wrath of Gisbane. A storm laden sky privided the ideal backdrop, and after a lengthy wait, the light broke through to light the tree up for me.